Power on the go is something we all need since it’s difficult to keep most of our portable electronic gadgets running from dawn to dusk. 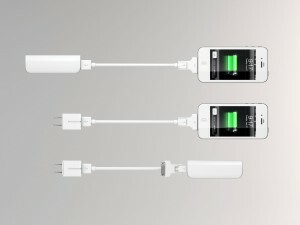 The Innergie PocketCell 3000mAh pocket-sized battery features my personal favorite; the 3-in-1 USB cable. I’ll get to the battery in a second, but the USB cable alone is something everyone should own. On one end is a standard USB connection, while on the other end are a miniUSB, microUSB and an Apple 30-pin connection. Each connector slides into another, so you have everything you need to charge just about every device from one cable. The Apple connection is on the end and slides out to expose the microUSB connection, which slides out to get to the miniUSB. Even when you are down to the miniUSB, the others are still attached so nothing gets lost. As for the battery, Innergie rates it to give you about 70 additional hours for an iPod, more than 25 hours for an iPhone or 4.5 hours for an iPad. Amounts can vary depending on how much you use different features on a device. 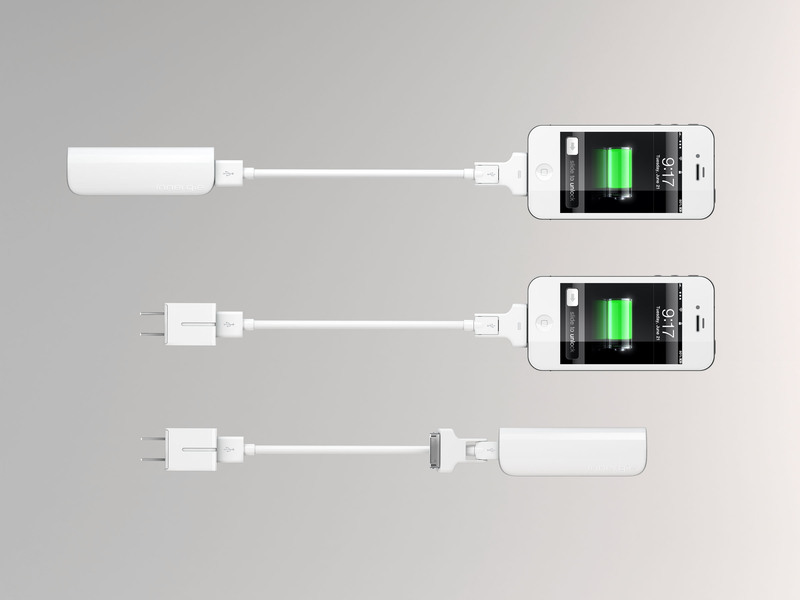 Innergie also has a dual USB 10W auto adapter ($16.99) for simultaneously charging a pair of phones and the 15W USB AC wall plug ($24.99) for charging multiple devices, including tablets, in any AC wall outlet. 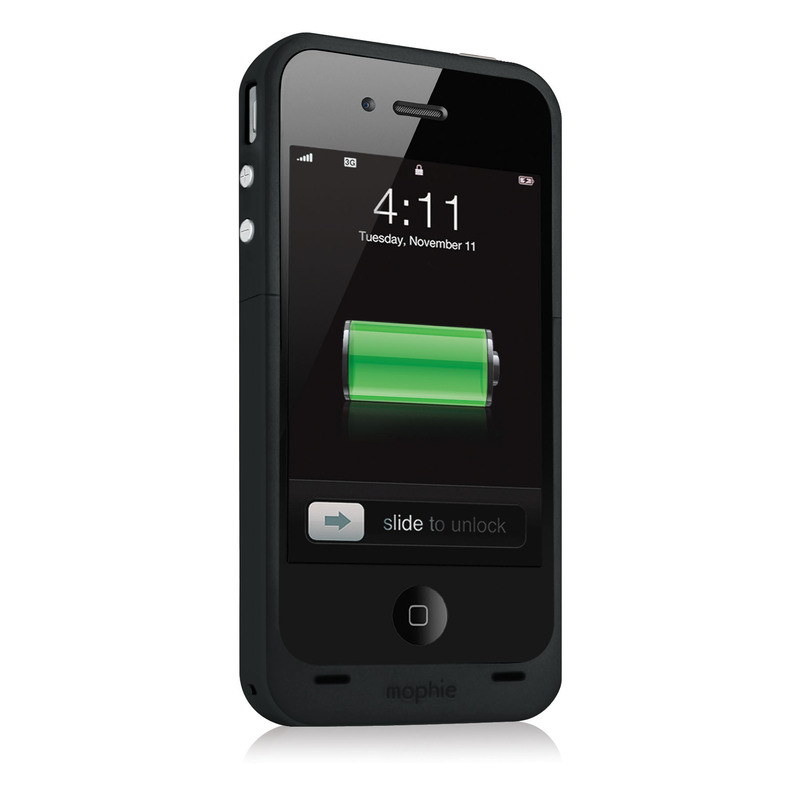 Mophie makes an iPhone case; the Juice Pack Plus for iPhone 4/4S that’s equipped with a 2000mAh battery built right into the case. Flip a switch when your iPhone’s battery needs a charge and the case’s built-in battery keeps you going while also fully charging the device. Your phone can also charge and sync when the case is connected to a wall outlet or a computer through its built-in USB connection. Mophie rates the case to extend the device for up to 8 hours of talk time, 11 hours for video watching and almost 2 days of audio playback. Other Juice Packs are available for some Android and tablet models; check the Mophie website for specifics. 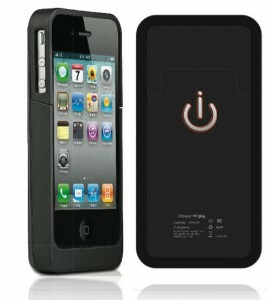 The iPowerUp iPower for iPhone 4/4S case has 300 less amps than the Juice Pack and costs a lot less. It has a built-in battery with 1700mAh to give you about 5 hours of additional talk time, 6 hours of video playing or 28 hours of audio time according to the device’s box. Both cases add very little size to the phone except for the bottom, which extends about a .25-inch for the built-in battery. Battery cases are also available for Blackberry and other mobile devices. Taking the power one step further is the 4800mAh Targus Backup Battery, which is a 5.0 V, 2.1A output battery. You can expect 5 to 10 extra hours of use on an iPad or you can fully charge a smart- phone 3 to 5 times according to Targus. This monster of a battery easily fits in your pocket since it measure just 4.25 x 2.5 x .5- inches and has a 4 level LED battery level indicator so you know how much power is left before the battery itself needs a charge (USB). 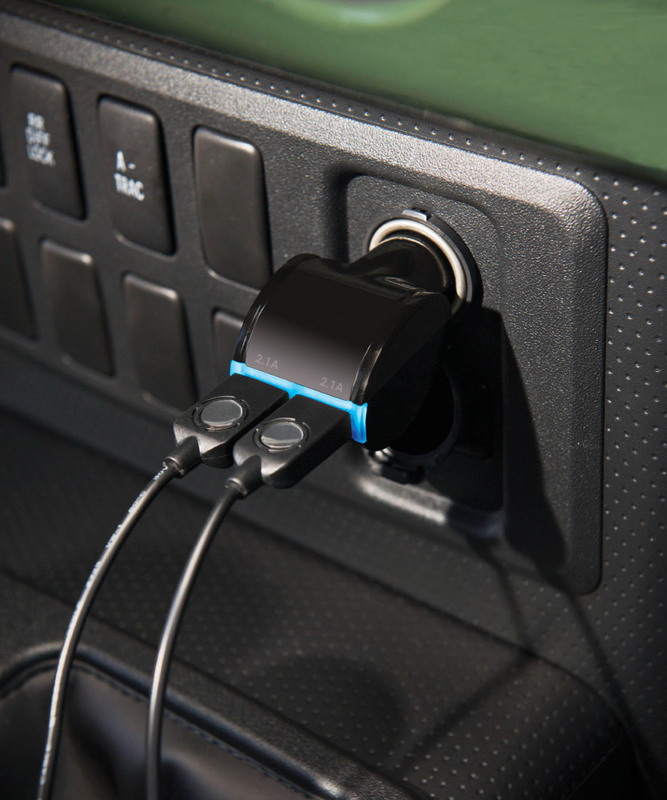 The Qmadix 20W USB Twin Table charging kit is for charging two different power-hungry devices simultaneously in a mobile vehicle. 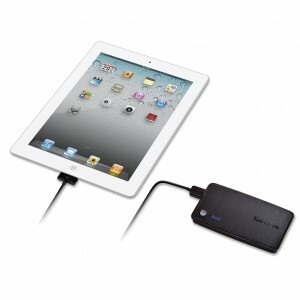 The 20W charger gives out 10W and 2.1 amps of power in each of the USB ports for devices including tablets. Advanced Smart Circuitry is built in to prevent overheating or overcharging and a 4-foot Apple 30-pin cable is included. The number of charges and hours of use can vary by device depending on the features of the device. The age of your device, along with how many times it has been charged and how many times any of these external batteries have been charged, will also affect the time to charge and how many hours of extended use you will get.